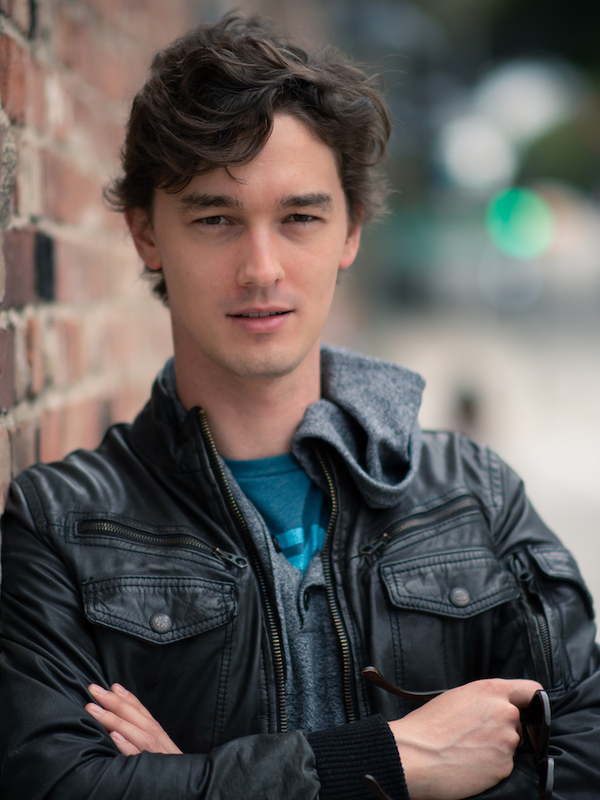 Jordan Mitchell-Love is an award-nominated actor, stuntman, and filmmaker. Some of his credits include playing Lance on the popular LGBT web series It’s Complicated as well as hosting and interviewing on the red carpet at LA WebFest since 2017. When not performing he enjoys reading, competitive swimming, martial arts, traveling, and spending time with his dogs. Thank you so much to his friends and family for their support, and to all of you for supporting the arts. Enjoy the show! Andrew Landecker is thrilled to be a part of The Bully Problem family! He recently performed in Chicago the Musical (Amos) at CPAEC. 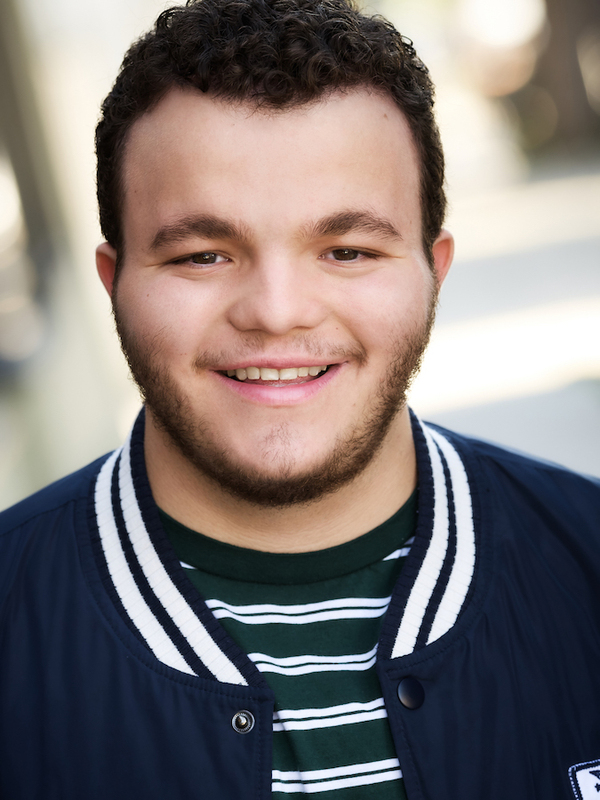 Andrew is a recent 2019 graduate of Calabasas High School’s Theater Arts, AME (Arts Media and Entertainment) and Comedy Sportz Improvisation Programs. Andrew is excited to continue his career in the arts. Thank you to The Bully Problem creative team for the opportunity to be a part of this fantastic new musical. Andrew would also like to thank his family, and friends for all their support. ENJOY THE SHOW! Hallie Mayer is excited to be creating new work with NMI again! Previous NMI projects: Bagels!, A Tinseltown Christmas, Aging Out, and Powder Puff Pilots. Other credits include: Little Red Riding Hood: A New Musical Adventure (92nd Street Y), The Grift (La Jolla Playhouse), Sister Act (5 Star Theatricals), High Fidelity (Curtis Theatre), Hairspray (Broadway in the Park), and many more. Most recently, Hallie was a principal vocalist for the holiday season at Hong Kong Disneyland. You can find her online at www.halliemayer.com and @hallieskallie. Josh is thrilled to join the cast and crew of The Bully Problem, and to welcome you to our exciting new musical debut here at the Hollywood Fringe. 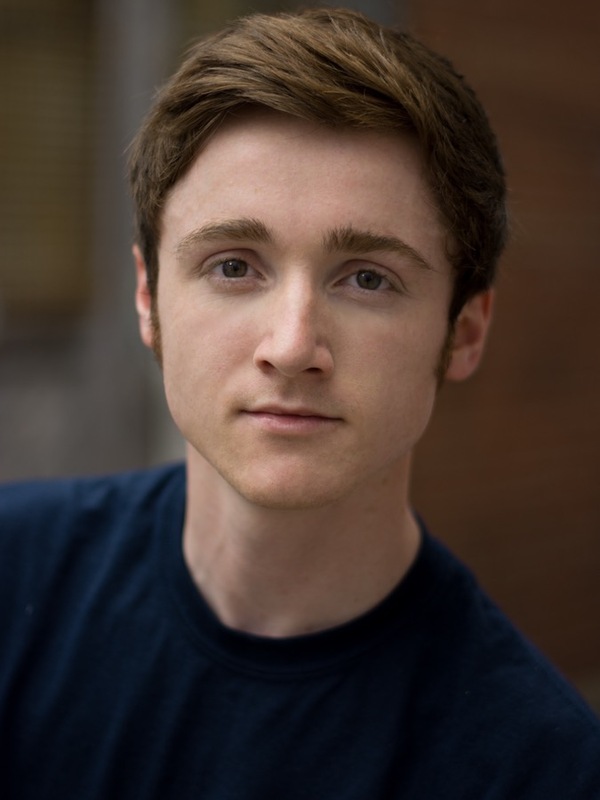 This is Josh’s fourth Fringe, having previously appeared as Meowth in The Pokémusical (2013), Ivan in Giraffenstein (2014), and Sonny Schultz in Merely Players (2015), all directed by Joanna Syiek with Color and Light Theatre Ensemble. Other recent roles include Bill Slank in Peter and the Starcatcher (Domino One Productions), Costard in Love’s Labour’s Lost (Young Artists 4Ever), and as The Penguin in the Arkham Asylum maze (Warner Bros’ Horror Made Here). Josh received his BA in theatre from San Francisco State, performed in Tony n’ Tina’s Wedding and worked with SF Sketchfest and Point Break Live for two years before moving to LA. He grew up with Comedy Sportz, trained with Groundlings, UCB and Wet the Hippo. 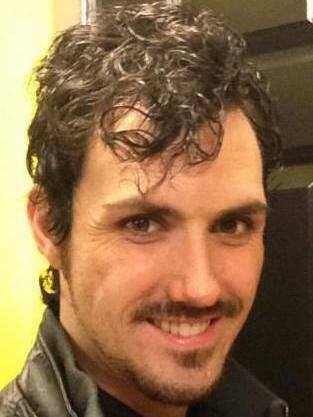 Josh joined Color and Light Theatre Ensemble in 2012, where other favorite roles include John Quincy Adams in Bloody, Bloody Andrew Jackson, and Dude 2 in Things to Ruin. Special thanks and shout-out to The Bully Problem family, Fringe staff and volunteers, fearless leader Joanna, friends old and new, blood relatives, and supporters of live theatre everywhere. See you at Fringe Central! 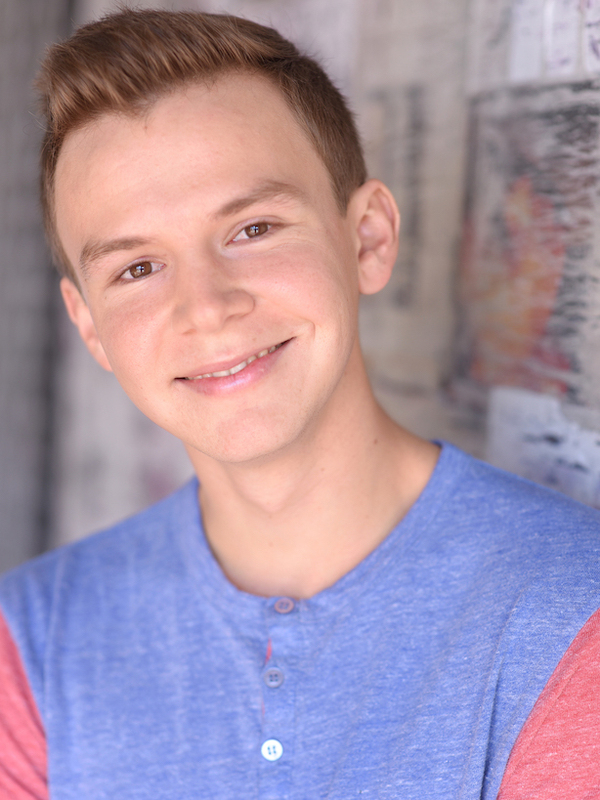 Socks Whitmore is a BFA Performer-Composer student at CalArts excited to make their Hollywood Fringe debut. Their connection to New Musicals Inc. began this spring with the New Voices Project, a musical theatre development program for which their full-length show We Are Here (co-written with Evan Johnson) was selected. Socks produced, staged managed, and starred as Valerie in the workshop premiere of the show at CalArts. In addition to debuting roles in the play Rosacea (2017) and the lead of Ray in the ballet operetta Children Cannot Sleep (2018), they have been involved in productions of Hansel and Gretel, Shrek the Musical, and the a cappella opera SWEAT. They have performed with the NAfME national honors choir and the Honors Performance Series in renowned spaces such as the Grand Ole Opry, Carnegie Hall, and the Sydney Opera House. Socks also recently starred as Olivia in Shaun Riel’s short film, A Color Without Color. They are an alum of the Barbara Ingram School for the Arts Vocal Department. 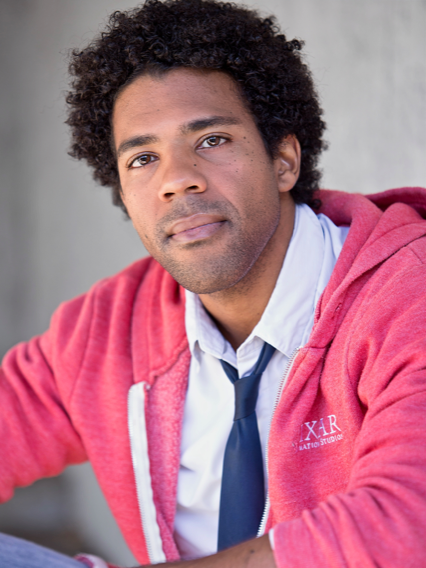 Clint Blakely is an actor, musician, and educator. He is grateful to The Bully Problem folks for the opportunity to return to musical theatre after a brief hiatus, during which he finished up a music degree and performed in non-musical plays. Most recently, he has been seen on L.A. stages as the villainous Donovan Hickock in the absurdist western Lady Injustice and Perseus in Project Nongenue’s The Tragedy of Medusa. Regionally, he has performed leading roles at Theatricum Botanicum and Santa Cruz Shakespeare. Clint’s most prized possession is his tofu press. Lots of love to Mom, Dad, Grandma, and Aliana. 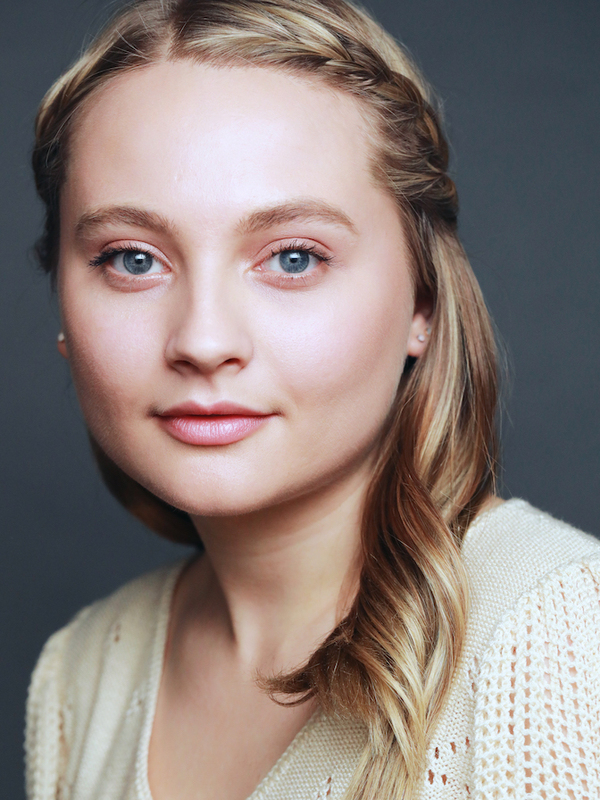 Jayna Sweet grew up on musical theatre in Phoenix, Arizona, with some of her favorite roles including Amaryllis in 𝘛𝘩𝘦 𝘔𝘶𝘴𝘪𝘤 𝘔𝘢𝘯, Kathy in 𝘙𝘦𝘢𝘭𝘭𝘺 𝘙𝘰𝘴𝘪𝘦, and Jessica/Valerie in 𝘎𝘳𝘰𝘸𝘪𝘯𝘨 𝘜𝘱: 𝘛𝘸𝘰 𝘖𝘯𝘦 𝘈𝘤𝘵𝘴. She has since been seen on TV and film including the Disney Channel Original Movie LEMONADE MOUTH and VH1 sketch comedy show STEVIE TV. Awarded Best Lead Actress at the WGWC Global TV Competition for pilot NO PLACE TO FALL and Platinum Winner for Actress in a Leading Role at the International Independent Film Awards for the short film DAUGHTER (which she also co-wrote with her dad and directed), Jayna can also be seen as series regular Natalie in the Facebook Watch original series TURNT. 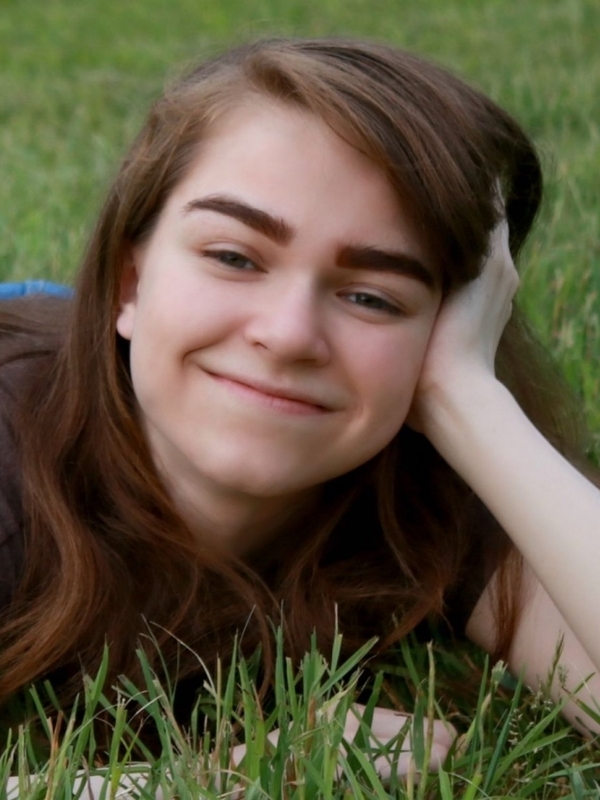 Also an avid writer and creator, she is currently co-developing a play, co-writing a customer service business book with her dad, and working on fiction. She loves coffee, roller coasters, swimming pools, and her westie-poo dog Dub Dub. Jayna wishes to thank her love, Kyle, for constantly supporting and inspiring her, and Mama Kathy and Papa Sweet for encouraging her dreams from a young age. She’s so excited to be back on the stage in such an uplifting and fun new musical! Keep up with her on Instagram @jayna_sweet. 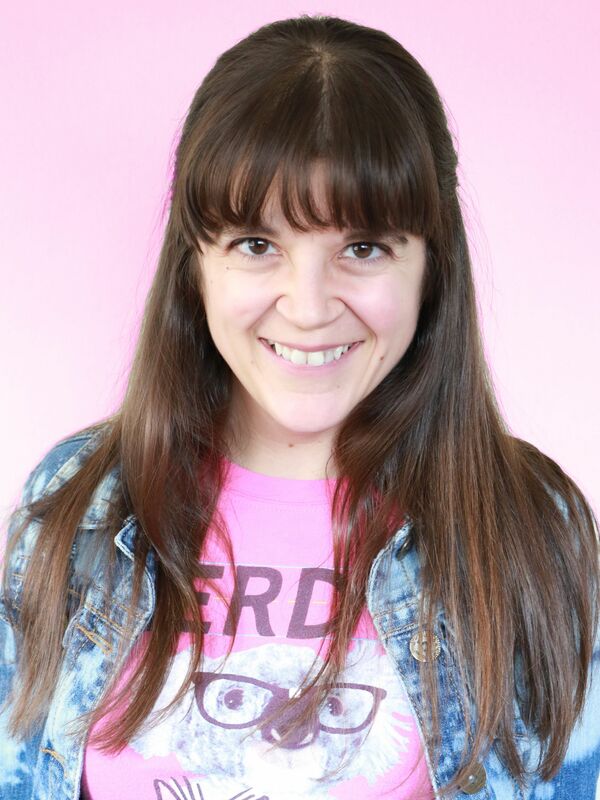 Tianna Cohen is thrilled to be joining the cast of The Bully Problem! She graduated from California State University, Northridge with a major in Theatre and a minor in Musical Theatre. Currently, Cohen performs with The Santa Monica Playhouse Repertory Theatre. She is classically trained in ballet from the Ballet Academy Ventura and studies voice with Mazie Rudolph. 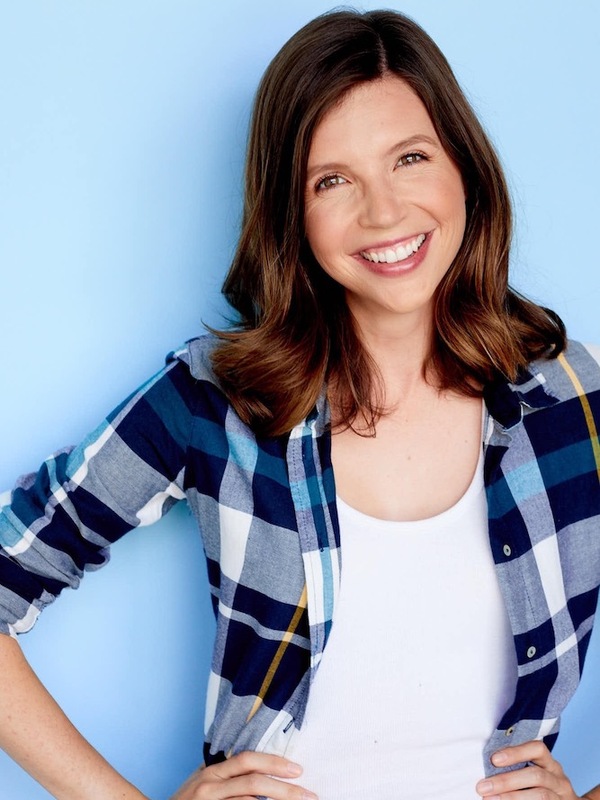 Past credits include Carrie (Carrie White, M&W Theatre Group), 19 Years Later (Cecilia Sinclaire, M&W Theatre Group), Cinderella (Prunella, SMP), Parade (Mary Phagan, CSUN), and Sweeney Todd (Johanna, CSUN). Adam is an actor living in Los Angeles. You may have seen him in many regional and national commercials including Men’s Warehouse, HBO, McDonalds, and IHOP. 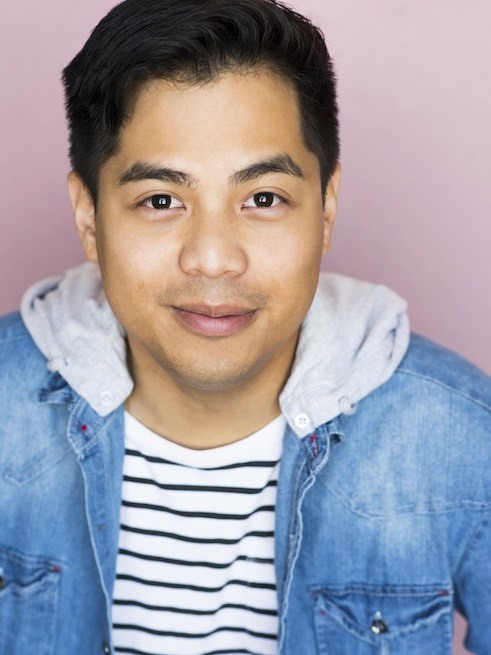 His recent Theatre credits include: La Jolla Playhouse: Accomplice; Theater Asylum’s Bard Fiction (Pulp Shakespeare), Color and Light Theatre Company: Merely Players. He will also be recurring in a web-series set to air later this year titled I Would Have Kissed You. When Adam is not performing, he is pursuing a BA in Philosophy, living with his lady friend, and dreaming of the day they get a cat together. 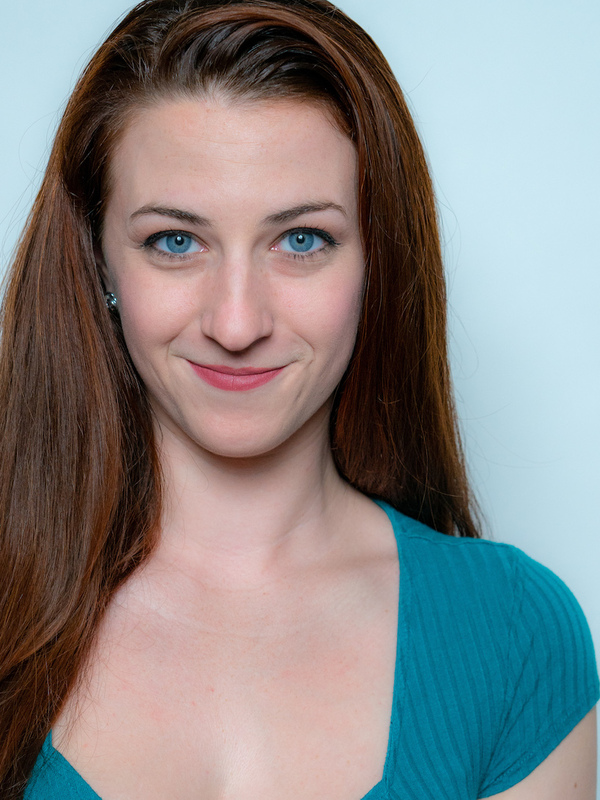 Malissa Marlow is so thrilled to be rejoining this wonderful production of The Bully Problem! A graduate of California Lutheran University with a BA in Musical Theatre, as well as an original SLAFPOCer, she is very excited and honored to continue to be apart of the growth of this amazing show. Many, many thanks to her family and friends who continue to love and support her throughout the realization of her dreams, and special thanks to Michael Shapiro, Joanna Syiek, and Jenn Dupre for allowing her to join the team! Some of her past credits include: Ginny Weasley/ McGonagall (19 Years Later), First Fairy (A Midsummer Night’s Dream), Janet (The Drowsy Chaperone), Martha (Spring Awakening), Susan Snell (Carrie the Musical), Rosie (Cabaret). Casey Hunter is thrilled and honored to be taking part in the commercial debut of The Bully Problem! 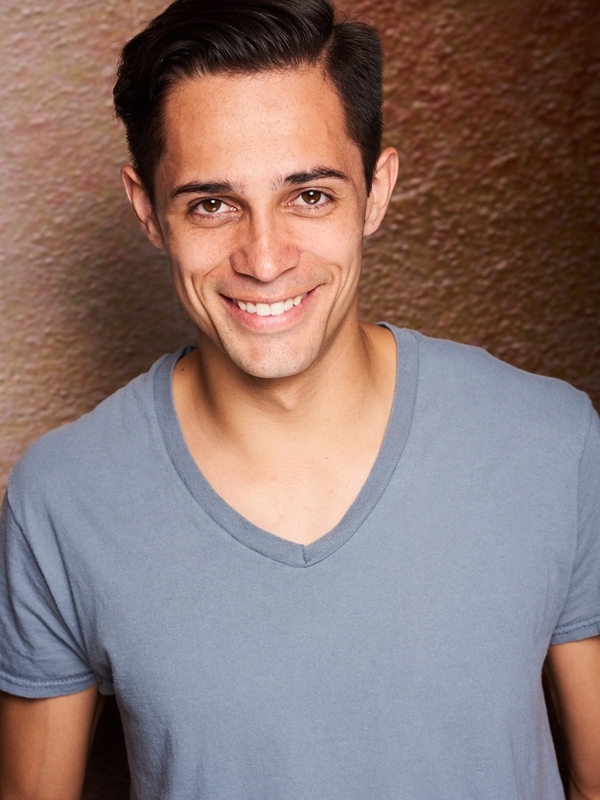 Casey is a transplant from NY where he spent 5 years in productions such as Bare: A Pop Opera (Zack), West Side Story (Action), and Emma’s Child (Laurence), The Most Fabulous Story Ever Told (Adam), and The Last days of Judas Escariot (Judas). 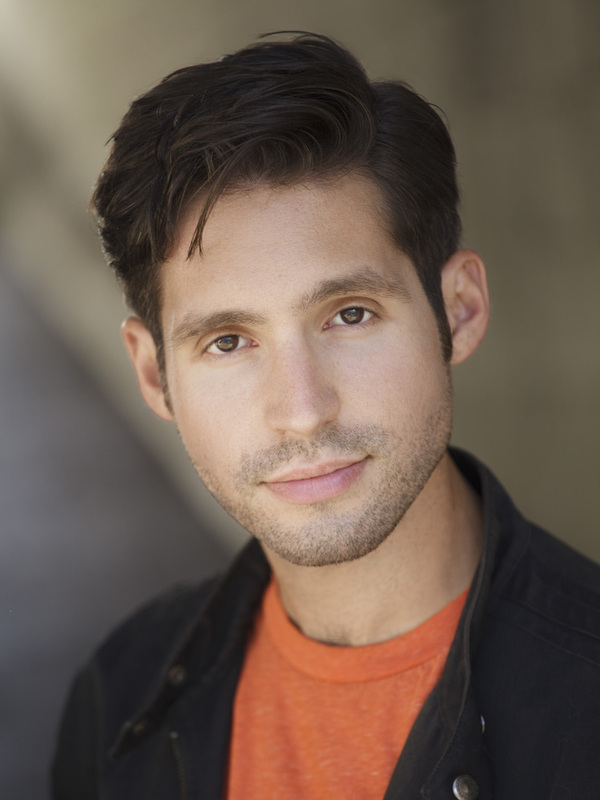 Since moving to LA he has been focusing more on the world of film, but has also taken parts in LA Theatre in the west coast premier of My Big Gay Italian Funeral (Peter), Whoopsie Doopsie (Ensemble Man 2), and the latest, Ada and the Engine (Lord Byron). Thank you to all cast and creatives for all of your hard work in making this all happen. 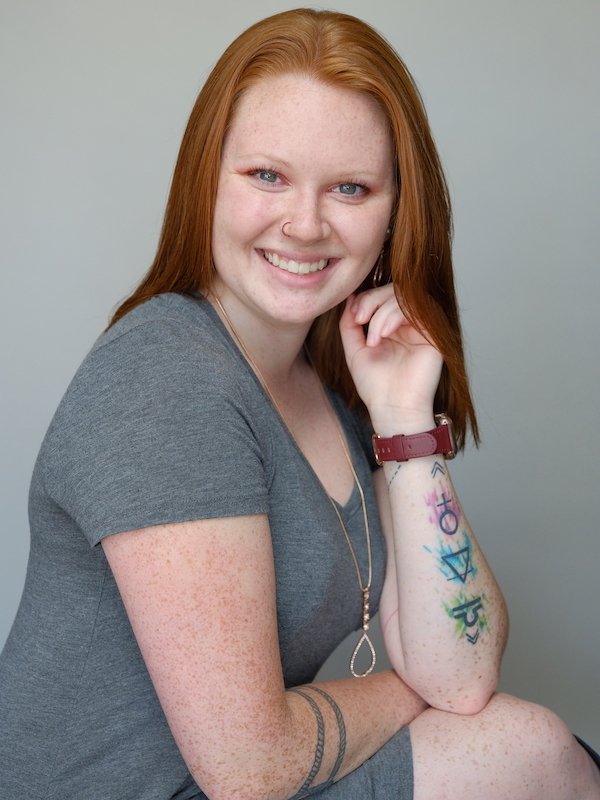 Joanna Syiek is thrilled to be taking on the bullies with The Bully Problem. She is the founder of Color and Light Theatre Ensemble, a Los Angeles theatre initiative dedicated to exploring new and iconoclastic musical theatre. Directing credits include American Idiot (Indy Award Winner – Direction), Lizzie, Bloody Bloody Andrew Jackson, Company, and Tick Tick…Boom! along with the West Coast premieres of both Joe Iconis’ Things to Ruin and Brad Alexander and Adam Mathias’ See Rock City and Other Destinations. She is dedicated to new musical theatre work and as such has directed new musicals including Merely Players, Giraffenstein, as well as The Pokémusical, which received the awards of Best Musical and Best of Fringe from the Hollywood Fringe Festival, along with a Broadway World Nomination for Best Direction in the musical’s extended run. 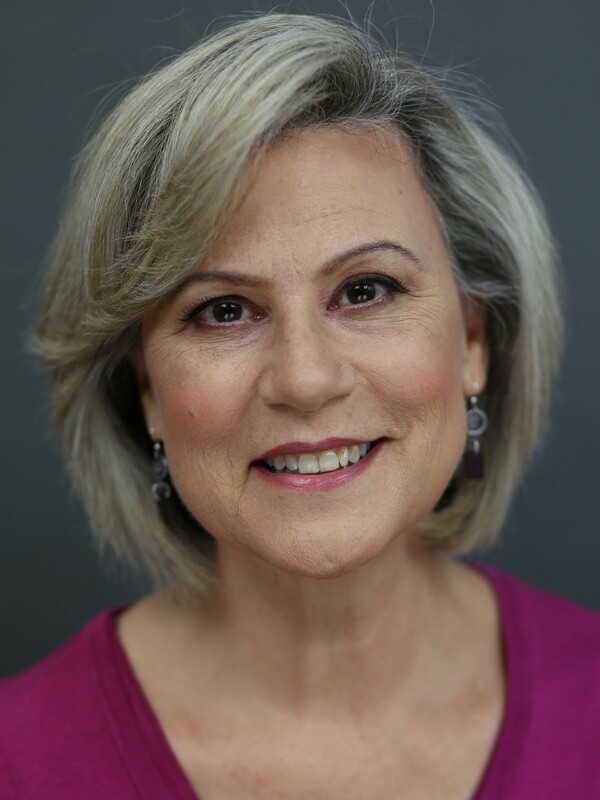 Elise Dewsberry, Artistic Director of New Musicals Inc., has been involved in the development of new works for over forty years: as an actor/singer, as a director, as a dramaturge, and as a writer. While living in Toronto, Elise served as the Assistant Artistic Director of the Muskoka Festival; the Co-Ordinator of the festival’s annual Musical Theatre Writer’s Colony, the Associate Dramaturge of the Canadian Stage Company; the Resident Dramaturge of the Smile Theatre Company; and was the co-founder of Toronto’s Script Lab. Elise spent many years touring Canada with Nine Months – a one-woman musical which she commissioned from writers Carl Ritchie and Stephen Woodjetts. Elise and Carl also co-wrote Any Body Home?, which was produced by the Cordova Bay Theatre in Victoria, British Columbia, and published by Dramatic Publishing. Elise joined ANMT as Associate Artistic Director in 2003; joined Founding Artistic Director John Sparks as Co-Artistic Director in 2010; and became Artistic Director of New Musicals Inc. in 2013. 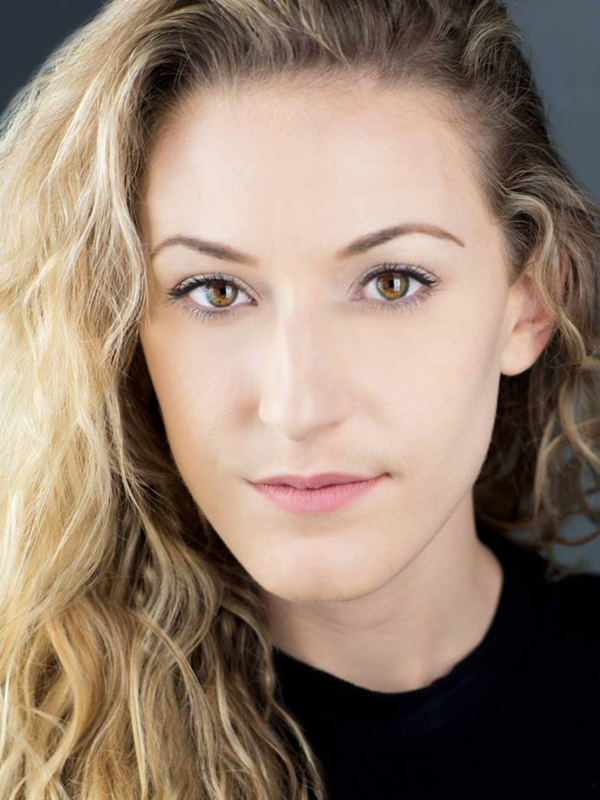 Elise has served as a member of the Selection Committee for the National Alliance of Musical Theatre’s annual Festival of New Works, and is currently a Los Angeles Ovation Award Voter. Elise is also the author and evaluator of the Book Lab and the Outlining Lab, offered online through www.writingmusicaltheatre.com. Elise is ecstatically married to cellist Stephen Green, and they are the proud parents of political organizer Rebecca Green. 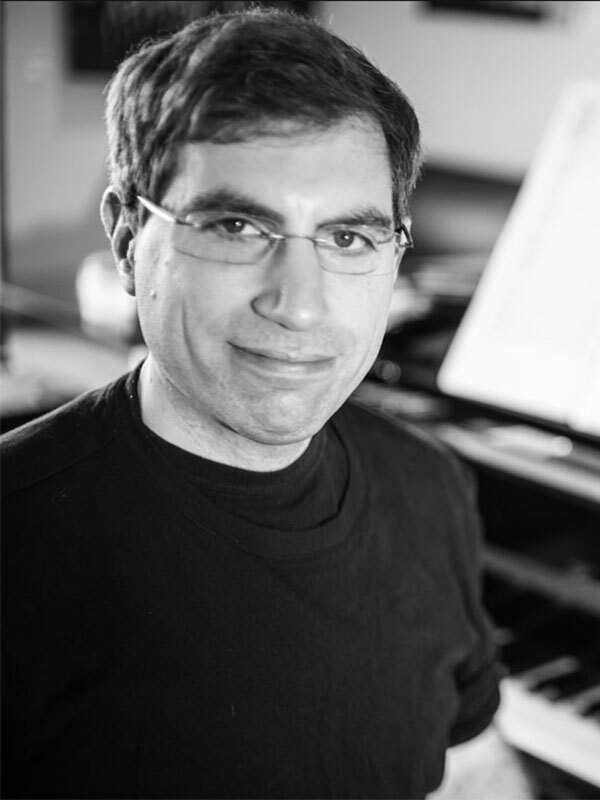 Michael Gordon Shapiro writes music for movies, games, the concert hall, and the stage. Occasionally he puts pen to paper as book writer and lyricist as well. Other theatrical projects include Super Sidekick: The Musical (co-written with Gregory Crafts, and published by Samuel French) and the short musical anthology A Feast of Snacks. His favorite robot is V.I.N.CENT from Disney’s The Black Hole. Visit Michael online at www.mikemusic.com. Jenn Dupre is excited to be making not only her NMI debut, but her L.A. debut as well. PSM Credits include: ​Mamma Mia​, ​How I Became a Pirate ​(Cape Rep Theatre); ​Otherwise Known as Sheila the Great (​ArtsPower National Touring Theatre); ​Beauty and the Beast,​ ​The Jungle Book, James and the Giant Peach, Footloose ​(Encore at the Point); The Maids ​(California Institute of the Arts), ​The Madwoman of Chaillot ​(Break-A-Leg Productions). ASM Credits include: ​The Tuna Goddess ​(Cape Rep Theatre); ​Hedda Gabler (California Institute of the Arts). Jennifer Lin works as a music director, accompanist, and teacher throughout Southern California. 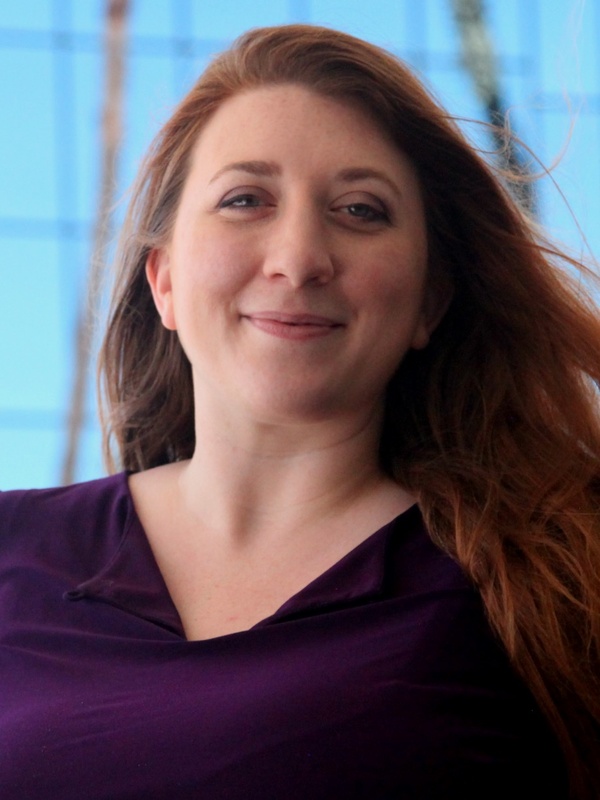 She is the resident music director for Color and Light Theatre Ensemble. Recent productions include Matilda (5 Star Theatricals), XY (NAMT Festival of New Musicals), LIZZIE (Color and Light Theatre Ensemble), Priscilla: Queen of the Desert (Celebration Theatre – Ovation Nominee for Musical Direction), Hit the Wall (LA LGBT Center), A Little Night Music (Colony Theatre), and Promises, Promises (Musical Theatre Guild). Previous Hollywood Fringe Festival credits include The Spidey Project (Theatre Unleashed) and Color and Light’s productions of Merely Players, Giraffenstein, and The Pokémusical (HFF winner for Best Musical and Best of Fringe). 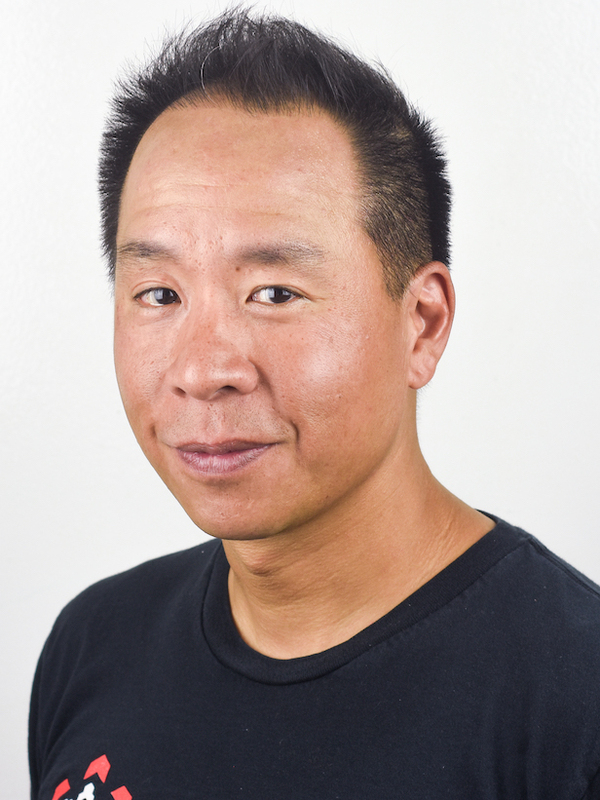 Mr. Alen Yen serves as President of Boston Operations and Creative Director of ifactory at RDW Group, Inc. Mr. Yen is an artist and designer trapped in a business-driven world. From an early age, he wanted nothing more than to successfully render spaceships, robots and comic book characters. Mr. 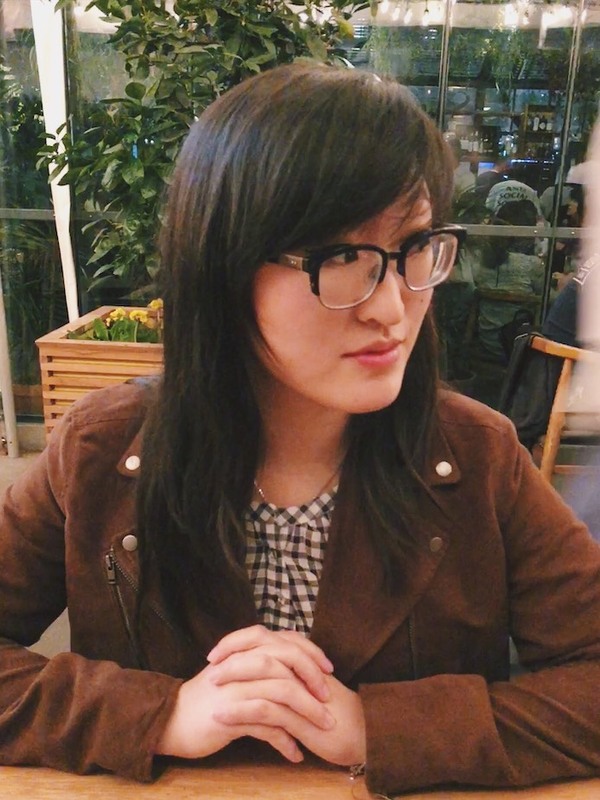 Yen served for several years as a concept designer and consultant for the gaming and new media industry, contributing to projects for Blizzard Entertainment, Sierra Online and LEGO. He founded ToyboxDX.com, an online community celebrating antique japanese robots of the 70’s and 80’s that receives over a million visits a month. In 1993, he started his first consultancy servicing architects and designers with graphic and computer-aided design. In 1995, He received Master’s in Education from RISD. He received degrees in Industrial Design and Metalsmithing from the University of Michigan School of Art. Website design & development by Sunny Kilogram.